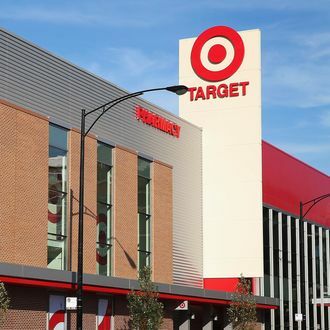 In a concession to those who prefer to shop for dish towels without fearing for their lives, Target has formally requested “that guests not bring firearms” to any of its locations, even those in cities where walking around with a rifle on your back is totally legal. The request comes in response to a campaign by Moms Demand Action for Gun Sense in America, which asked Target to ban guns. And that campaign was a response to Texans who made a show of going to Target with rifles hanging from their chests. We’ve listened carefully to the nuances of this debate and respect the protected rights of everyone involved. In return, we are asking for help in fulfilling our goal to create an atmosphere that is safe and inviting for our guests and team members. This is a complicated issue, but it boils down to a simple belief: Bringing firearms to Target creates an environment that is at odds with the family-friendly shopping and work experience we strive to create. Open Carry Texas, the group whose original demonstration set off this debate, wrote on Facebook that it “regrets Target’s decision” but will honor its request.